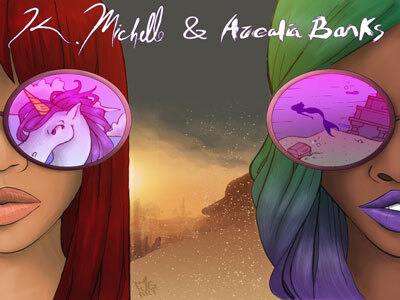 K. Michelle and Azealia Banks have have announced they will be going on tour this Fall. The tour date, sponsored by Centric and BET, will begin in Indianapolis on Sept. 15 and includes stops in Chicago, Detroit, Atlanta, and New York, ending in Los Angeles on Oct. 15. Both artist will perform tracks off their latest albums, Anybody Wanna Buy A Heart? and Broke With Expensive Taste, as well as fan favorites from their catalog. The two have also collaborated on a song on K. Michelle’s Album. Next Post Monifah…To have and to hold…..